Since its inception back in 2006, Global student Exchange helped many International students with Admissions, Enrollment, Acceptance, Visas and generous Scholarship across the Globe. 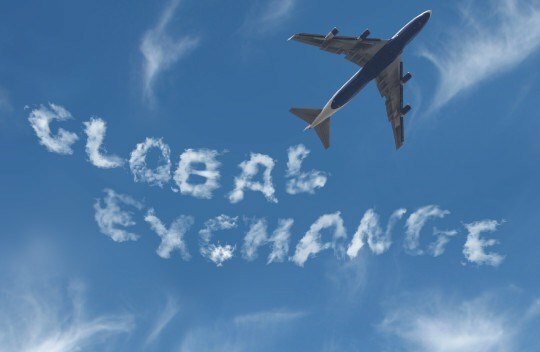 For reliable enrollment, admissions information and assistance, more high degree seeking international students are choosing Global Exchange over any other educational firm, period. We are the only organization that works laterally with our clients every step of the way, ensuring their continued educational success in the United States and beyond. If you want to be a part of a global community that fosters education and cultural integration, choose Global Exchange and let us show you what we can do for you. Headquartered in Providence USA and serving the MENA and US higher degree seeking communities, Global Exchange was founded in 2006 under the principle of offering international students real-world solutions to all of their educational needs. We effectively mediate between high degree seekers and educational entities, fostering the understanding, education, peace and cultural exchange between nations. Our teams of experienced professionals strive to provide a higher level of service and support that our clients can’t get anywhere else. Our reputation speaks for itself; we offer the best value combined with the support of our creative minds to create an educational solution that suits your higher degree needs and the needs of your own personal future. Our ambition is to help global students get into high degree institutions in America and American students get into prestigious universities abroad. Global Exchange is committed to providing quality education, enabling International Students to graduate and pursue rewarding careers in their field on a global scale.